Treadway Gallery and specialist Thom Pegg have consistently offered important works by African American artists at auction for the last twenty years. This sale offers interested collectors and institutions more than 140 works by nearly 100 different artists, ranging the entire gamut of both styles and price ranges. The auction includes two masterworks by Grafton Tyler Brown, painted in 1887, that were recently included in a museum exhibit in California. Edward Bannister’s landscape, painted in 1881, reveals the influence of the Barbizon style of painting on American 19th century artists. There are two works included by Lois Mailou Jones, illustrating her two distinct styles: the first is an expansive French landscape depicting a village overlooking the Rhine River, and the second, titled, Dream of Nigeria , painted in 1971, depicts African masks and geometric motifs. Hale Woodruff was another African American painter who worked in varying styles throughout his career, ending in abstraction. The auction includes a fine example of this later period abstract work. 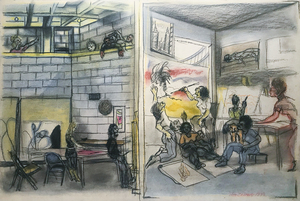 Noted Philadelphia-based printmaker, Dox Thrash, is represented by several of his carborundum mezzotints. 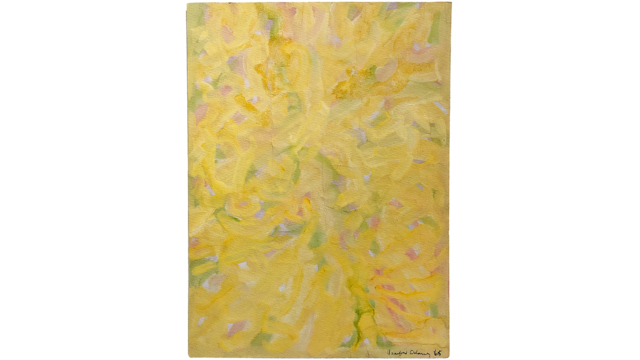 There is a fine colored drawing, titled, Parade , by Norman Lewis, and three works by abstract painter, Sam Gilliam included. Beauford Delaney painted both abstracts and figurative works--primarily while living in Paris—and the auction includes both a portrait of a man and one of his famous yellow abstracts. A very early work by Charles White of Frederick Douglass is included in the sale, as well as two prints. There is a strong representation of sculpture works included in the auction. Two bronzes by Elizabeth Catlett will be offered, as well as several prints by her. Two sculptures by California-based Sargent Johnson from the 1940s will be offered, as well as a rare, early oil painting. A bronze, titled, Julius , by Richmond Barthe, will be included. This auction features many works from the well-known collection of Melvin Holmes, who had lived in the San Francisco area and collected African American art for decades. Preview will be held at Treadway located at 2029 Madison Road, Cincinnati, OH 45208 with the auction being held at 2007 Madison Road beginning at Noon on Sunday, March 17th. Preview dates are Monday, March 11 thru Saturday, March 16, 9am-5pm or by appointment.